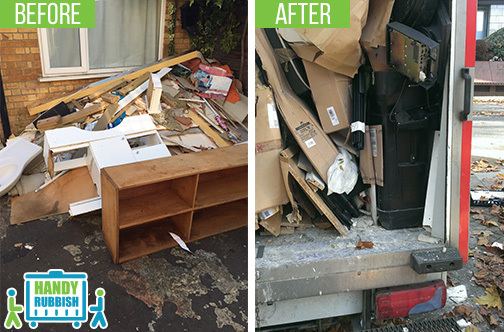 There are so many advantages to hiring our North London waste removal company, no matter what you want cleared. No matter where you are in the area we can be with you quick and in turn get any piece of land or property cleared quickly. One other reason we have become so popular in recent years is because we are the cost-effective and easier option to skip hire. There are so many disadvantages to hiring a skip from having to go through the hassle of getting a permit from the council to finding a site to place a skip without infringing on any laws. North London is an area which like most of the rest of London has a rich and diverse culture which includes many places of national interest as well as countless places for entertainment and recreation. From N1 Islington to Totteridge and N21, the northern part of London has always been a place which has many desirable locations in terms of properties and homes. Highgate, Muswell Hill, Tottenham and Finsbury Park are just four areas which are well known throughout London and outside of London. In regards to football, North London is home to Highbury, White Hart Lane and Wembley football grounds. Transport connections are excellent with the North London Overground Railway passing through many well-known thoroughfares and streets including Caledonian Road and Camden Road. Amongst the countless museums situated in North London is the Charles Dickens Museum which can be found in Doughty Street, Camden. 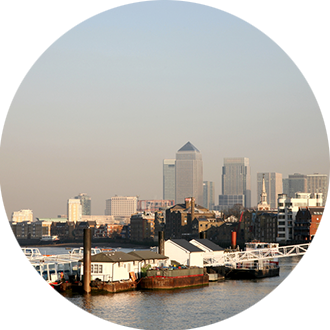 With North London being traditionally the whole area north of the Thames, it comprises a vast area as well as having an estimated population of approximately 4.7 million inhabitants. By hiring us you are cutting right through all that hassle because you are simply hiring a professional rubbish clearance company who come to the address you specify, collect the waste, load it into our van and dispose of it ethically and within the law. When you have a clearance job you need done, whether it's a garage clearance, loft clearance or office clearance, Handy Rubbish is rubbish disposal company to call. You can call us now on 020 3540 8282 and we will give you a free quote as well as any other information you may require. From office and property clearance to waste clearance in gardens and attics, there's no job we are not capable of carrying out and as with every job we carry out, it's done professionally, skillfully and efficiently. This is in part due to the excellent staff we have who are fully trained in how to clear all types of waste which means whether you need waste disposal North London, garden waste clearance or home clearance, you have come to the right place. We recycle as much waste as it is possible to do and it's also better to call us no matter what you want cleared, because some waste can be very unhygienic and bad for your health. We have the resources, the skills and expertise to make sure that whether it's North London rubbish removal that needs careful handling or whether it's a house clearance that needs care and consideration, that's what you'll get with us. Domestic clearance is so much easier when we do it for you and, likewise, if it's an office clearance or something like furniture disposal we are the easy answer to a potentially difficult problem. So let us know what you want done in regards to waste collection and we'll take care of it for you. Call us now on 020 3540 8282 and you'll be in touch with the waste removal company Handy Rubbish that gives you such fantastic prices as well as fantastic services.